Until now you must have been using things for the actual purpose they are made for. Am I correct? But there are many things which can also be used for a vast variety of different purposes in your day to day life. 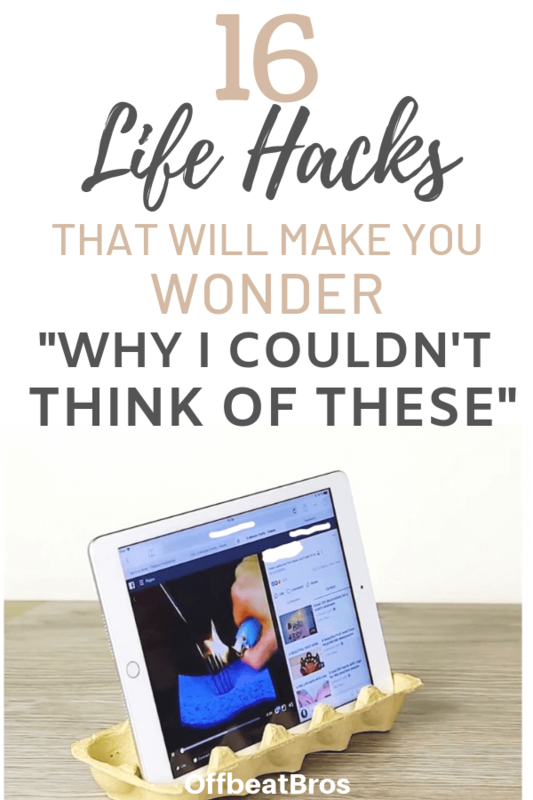 From using egg tray as a gadget holder, and toasting sandwich using an iron to making cheap homemade natural deodorizer, I have listed here many life hacks which you might have or might not have even heard of. These hacks will provide better usability for a certain thing, help you ease your life, save money by utilizing things more efficiently and at last change the way you use things. 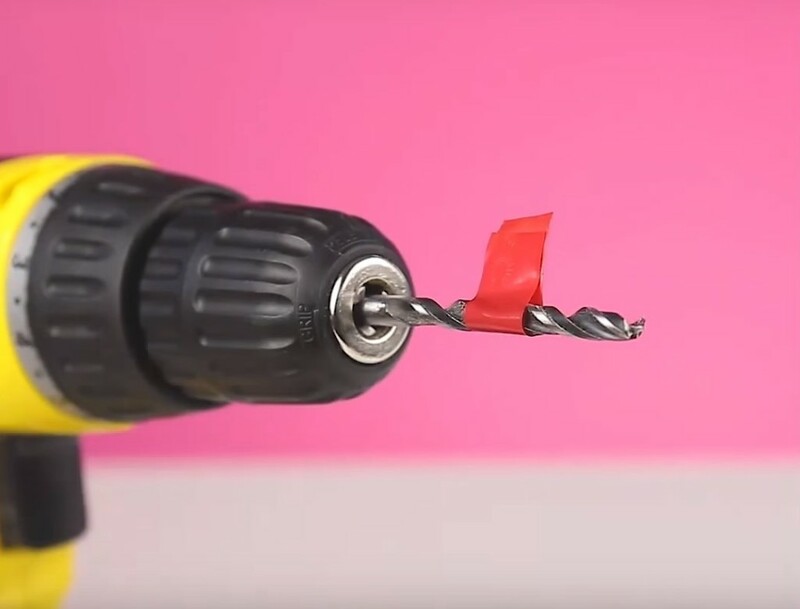 So have a look at these Genius daily DIY life hacks which will definitely prove useful to you at some point in time. 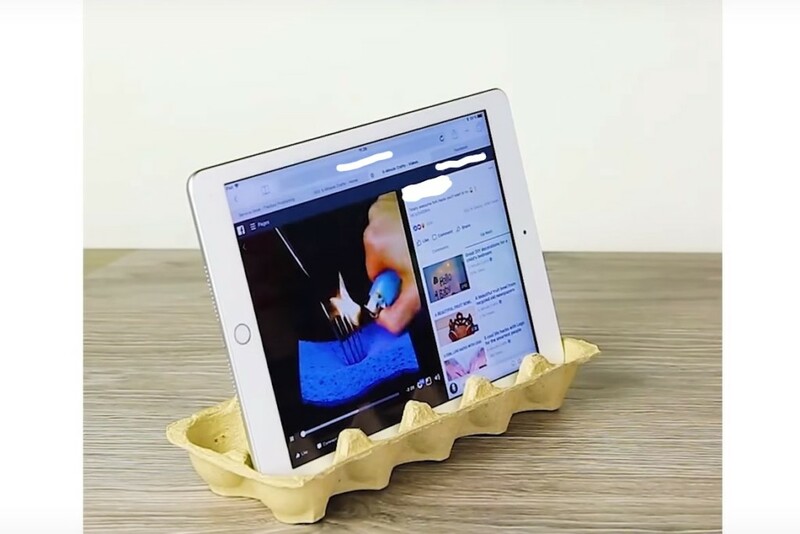 You can use empty egg tray as an iPad holder. Now, you can easily enjoy your movie on iPad with Popcorn. 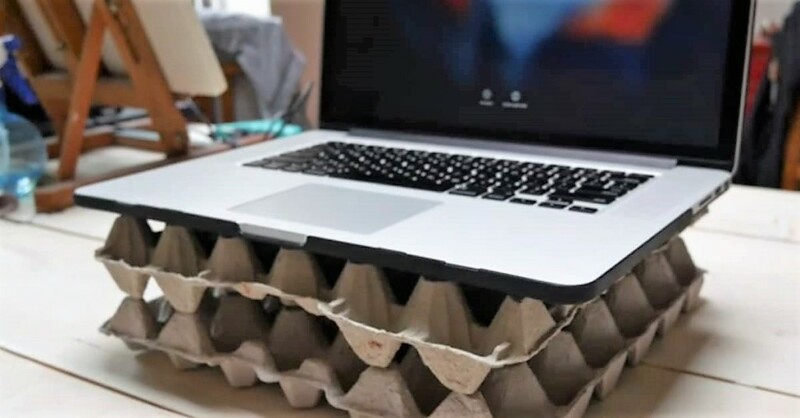 If you need laptop cooling but don’t want to splurge on a cooling pad, you can use egg tray as a Laptop Cooling Pad. Just flip some empty trays over and you get plenty of airflow. It’s not the prettiest thing but gets the job done for cheap and you save money on Cooling Pad. So isn’t this one of the amazing life hacks? 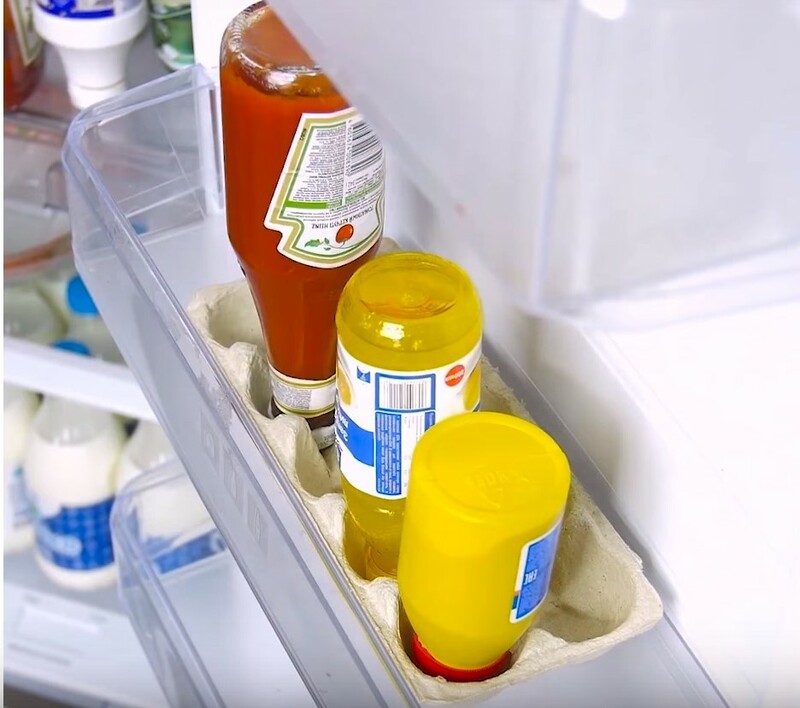 Well, egg trays make good stands in the refrigerator as you can see in the image above. Good for keeping bottles of different sauces together. This DIY idea is perfect for a frugal bird lover. 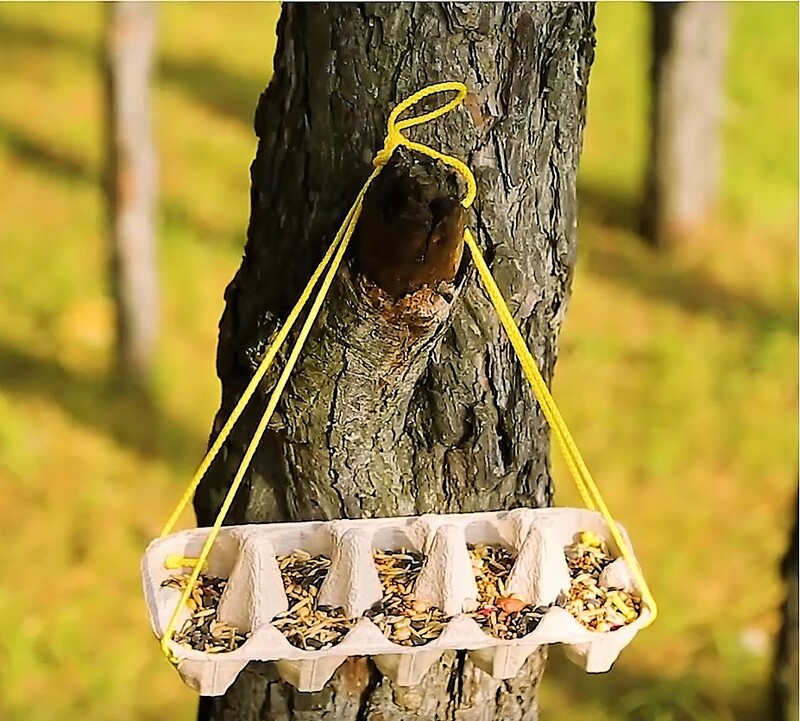 You can use any egg tray to make a bird feeder and attract nearby birds. Plus it’s easy to set up and is FREE. You just need to attach strings on all four sides of the tray, sprinkle some seeds and tie it to a tree branch, you are all set. No screwdriver on hand? No worries, just take out a penny and use it as a screwdriver to tighten a screw or unscrew. 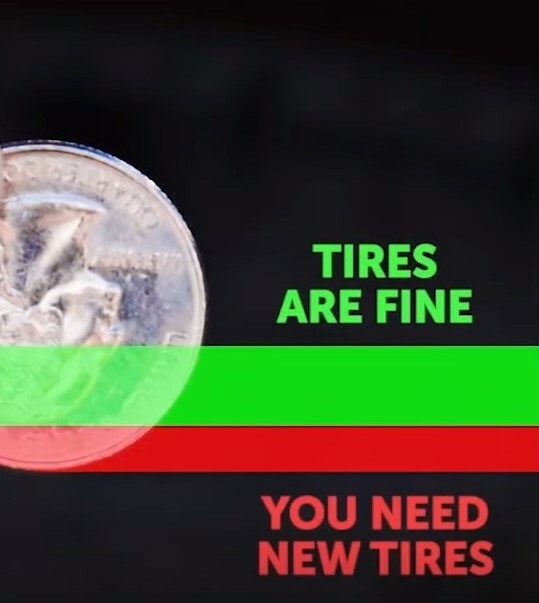 Stick a small coin into main tread grooves of your tire. If the cannot see the outer band, your tread is fine. If you can see the outer band, it’s better to visit a qualified mechanic and get them checked as they may be unsafe and illegal. Flushing consumes the highest water in a household. Putting a brick in the flush tank displaces water in the tank, thereby leading to less water used each time you flush. It saves up to half a gallon of water per flush. Ever wondered brick can be helpful in saving money. Ever had trouble drilling the hole of the correct length. No more! Just use tape as an indicator of correct length by sticking it up to the length you require on the drill. Most of us have faced stuck jar lid which could not be opened no matter how hard you try. 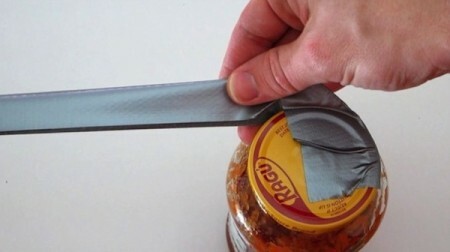 Well, reach out to duct tape in such situations, you can easily open stuck jar lids using duct tape. You don’t need fancy laminating machines or spend a lot of money on lamination to give your paperwork a glossy, professional finish. You can easily laminate almost anything just using a Laminating Pouch and Iron. How? Place the item you want to laminate in a lamination pouch. Grab a thin cotton towel and place it on the pouch. Turn the iron to the highest setting, usually “Cotton” or “Linen”. Press firmly with iron over the area covered by pouch for 30 seconds. Let it cool, viola! Lamination is done. Make a normal sandwich as per your desire. Take an aluminum foil and wrap it around the sandwich. Make sure you don’t wrap too tight as the foil could tear. Turn the iron to its highest setting, usually “linen” or “cotton”. Let the iron sit over foil for 1 minute and peek inside to see if the sandwich is toasted. Usually, it takes a minute or two to toast one side, but it depends on how hot your iron is and how much filling is in your sandwich. Once the first side is done, flip over and repeat the same to toast the second side. Be careful while flipping and opening as the aluminum foil will get very hot. Once done, cut your sandwich and enjoy. Note: It does not harm your iron. 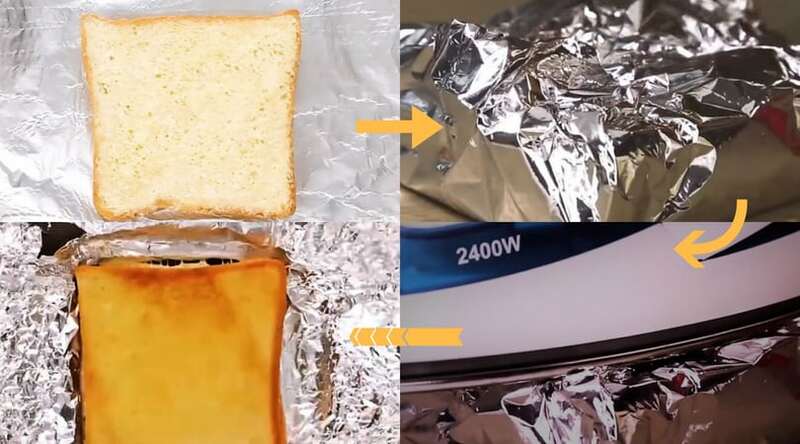 You can also wrap cloth above aluminum foil to prevent any minor scratch on your iron, but this will significantly increase the time taken to toast. It happens that after some time, some stickers start to peel off. You can definitely tape them down but a lot of times taping ruins the look of stickers. Any Solution? 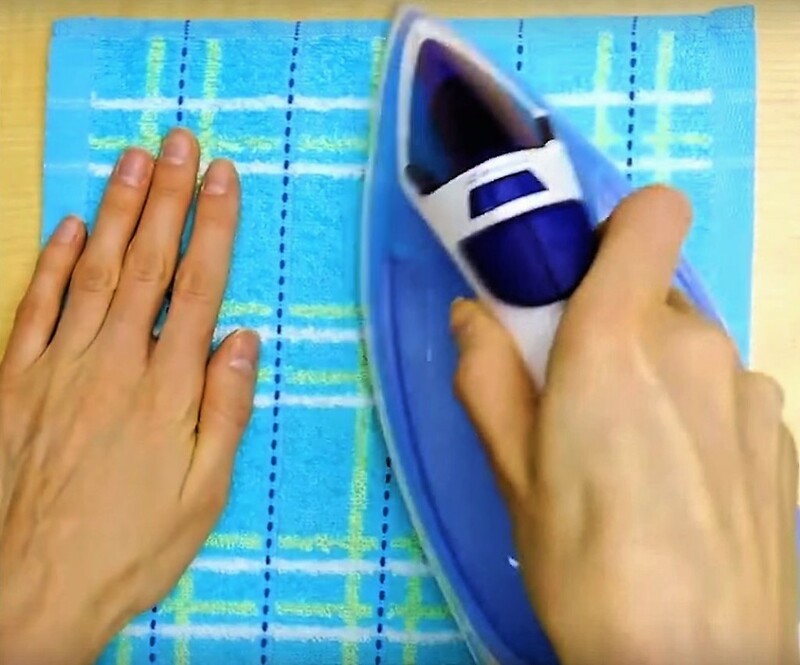 Yes, don’t tape them down instead iron them. Put a piece of aluminum foil over sticker and iron the spot where it’s peeling off. Heat from the iron will reactivate the glue on the back of the sticker and get it to stick to the surface. If you want to remove stickers from your furniture, windows, etc., you can easily remove them using a hairdryer. It requires a little patience though. Hold your hairdryer over sticker for 30 seconds on high heat mode. After 30 seconds of direct heat, check a corner to see if it peels away. If not, continue for another 30 seconds and then peel the sticker. It works the same way as iron, it reactivates the glue on the back of the sticker due to heating. I often come across screws that won’t budge with manual screwdrivers no matter how much force I apply. If you ever come across such a scenario, just reach out for your hairdryer and blast some hot air on the screw for a few seconds and it will easily come out. This happens because metal reacts with heating and cooling. Alternatively, you can also spray some WD-40 on it. A lot of times simple spraying with WD-40 solves this problem. In case you have run out of WD-40, you can have it delivered to your doorstep from Amazon. Check out these amazing WD 40 hacks that will solve a lot of problems. Hang the cloth you want to remove wrinkle from on a cloth hanger. Spray some water on the wrinkles. Turn hairdryer on high heat and blow dry from an inch on wrinkles. You will start to see wrinkles disappearing in moments. Use a good quality and high heating hairdryer for best results as stronger the hair dryer, the more anti-wrinkling power it has. Put a bag of black tea in some hot water for 2-3 minutes. Take a clean cotton cloth and wipe the surface with tea water using the cotton cloth. Tea will clean the wooden surface and make it shiny. 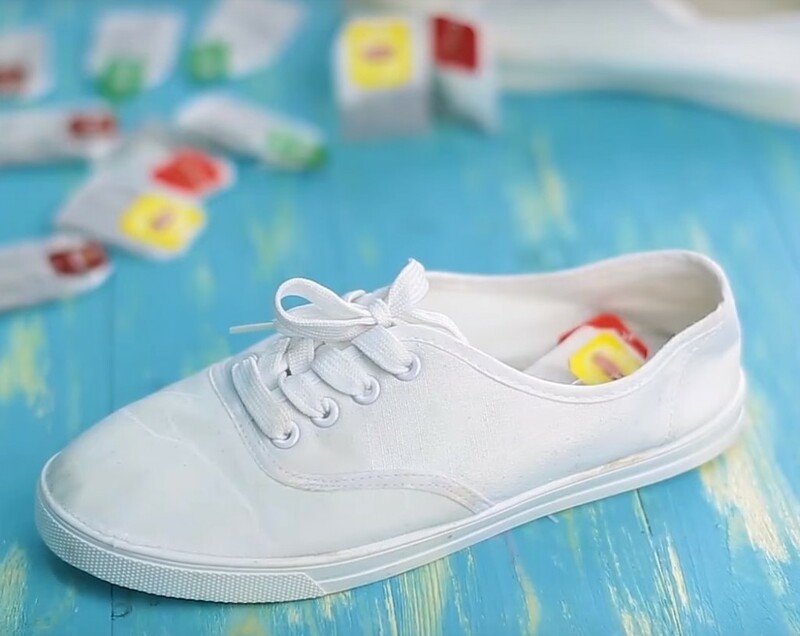 Grab 2-3 teabags and put it in each shoe. Let the shoes sit in a dry environment for 12-24 hours. Done! Now your shoes smell amazing. You can even set them for more days if you want them to smell more flavorful and tea like. 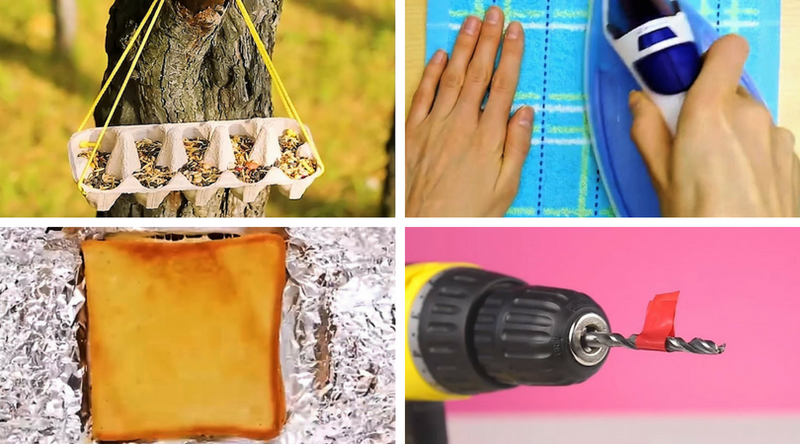 Aren’t these DIY life hacks absolutely amazingly genius? Have you tried these hacks and found them useful? If you like these hacks, do share the post!